Many religious organizations want to offer healthcare benefits to take care of their employees, including their spiritual or religious leader and other clergy members. In addition, healthcare benefits are a vital part of compensation packages that religious organizations want offer to their valued staff. Since many religious organizations have limited capital and tight budgets, they may feel like they don’t have many options when it comes to offering healthcare to their religious leaders and clergy members. While they want to take care of their employees, many are unable to afford traditional group health insurance, or cannot meet the minimum participation requirements. A licensed health insurance broker can be very helpful to educate you about the different health insurance plans and options for your religious organization. In addition, they can help you pick a health insurance options that fits into the tight budget. Since health insurance brokers are independent and sell for multiple companies, they can typically provide a variety options and a broad view of the different insurers. 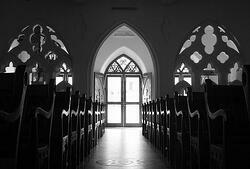 A broker will work with your religious to evaluate the major insurance carriers in the area on plan designs and cost. In addition, purchasing a policy through a broker typically doesn't cost any more than purchasing it on your own, as most health insurance brokers are compensated by the insurance carriers. Click here for tips on hiring the right health insurance broker for your religious organization. It may also be worth it to check out the Small Business Health Options Program (SHOP) Marketplace. The ACA designed the SHOP Marketplace to provide small employers and religiouss with more choices for their healthcare plan. Part of the appeal of the SHOP is access to the small employer health care tax credit. Since this has been reduced for tax-exempt employers, it may not fit into the financial needs of your religious organization. Instead of offering pricy group health insurance, many religious organizations are offering tax-free healthcare allowances as part of their compensation packages to recruit and retain the best religious or spiritual leaders and clergy members. With this type of arrangement, employees of the religious organization have more choice of coverage and doctors to best fit their family’s needs. The cost savings and fiscal control are the biggest reason religious organizations are choosing healthcare allowances over group health insurance. Reimbursing employees’ individual health insurance allows many religiouss to offer healthcare benefits for the first time. In addition, having predictable and controllable costs year to year adds much needed stability to the tight budget, and provides accountability to the board and funders of the organization.